Tyler uploaded some truly magnificent photos of Ghana. Members of "My Hobo" can now upload and store large photos on our server free, this is perfect for travelers. Store them, show them to friends, this is essentially a backup of your photos, and if your camera, computer or the memory stick was stolen, "My Hobo" has helped to protect your travel photos. Take a look, his photos are clear, the colors are distinct, sharp, and stand out, he has a great eye for color and framing out photos. I paid 150 USD for an MRI in the La Union, Philippines a couple of years ago. 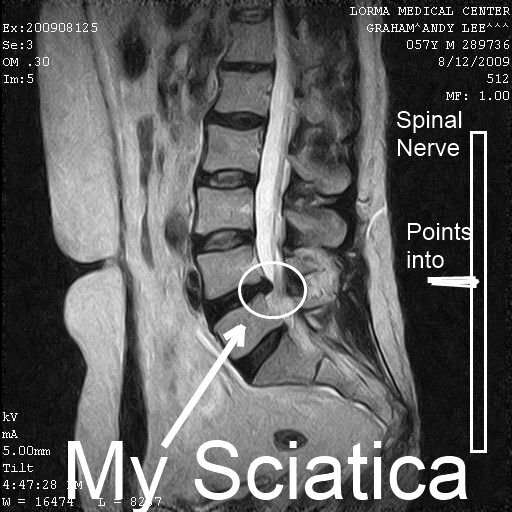 I have a disc that is pushing against my spinal nerve and causes the nerve to hurt from my lower back to my toes of my left foot. This pain is not easy to ignore, it is like pins and needles jabbing at my leg. Lying in bed or sitting in chair "can be" painful with Sciatica. I must first make sure the bed is firm, I do not use a pillow, and then sit in proper chairs, and long bus trips can be torturous. I then perform certain types of stretches and exercises to sort of push the spinal disc back into better alignment. I have spent the last month trying to explain this problem to Bah, she does not understand, rather treats me as if it will go away tomorrow. I showed her this MRI image yesterday, trying to force her to focus on the mechanics of this problem. When it finally clicks in her head, she will understand when I want to change chairs or get her to stop trying to jump on me. I am extremely strong and she does not understand I am sometimes in pain when she jumps on me. I must make good choices, and she must accept these choices. Bah speaks French, I speak English, we meet in the middle, the distance is farther than normal. There is no doubt Bah is Alpha Female, often I must be five times the Alpha Male to convince her to listen. Generally, Alpha people want to be listened too, there is less need to listen, it is our nature to get our way. The big "G" search engine did a "Panda" update of their search engine, this update stopped 20-25 percent of my traffic and essentially gave me a 25 percent cut in pay. It is tiresome, we must constantly fight to increase traffic, and I used to think Hobo Traveler money was residual. However, without constantly pushing to clean, update, and maneuver the site, in less than five years the big "G" search engine would just dwindle HoboTraveler.com traffic until it almost did not exist. More or less, if a page is not new, or there is not regular traffic on the page, it is not of value to big "G." and one specific page disappears from the search index. This means that a 100-page site is probably more effective at making money than a 100,000-page site, the larger the site, the more the big "G" refuses to index or keep pages in the index. We must find a way to run faster than the big "G" search engine, we must be innovative. I do not enjoy being in a popularity contest and this will greatly harm pages written by University Professors and scholars, if the page is not of interest by the general masses, it will be tossed out of the search engine. I am rather sad; there are some truly great pages on the internet, where the person has put up some great information. Maybe it is ugly, maybe it is awkward, sort of an ugly ducklings, the failure to thrive pages will disappear, what is trendy could dominate. You will no longer be able to search for pages hoping to find pages about the New York Times, you will need to go to the New York Times directly, then drill down or search, because the big "G" does not index all the pages. There are manual exceptions to the rule, and some big brand may be making sweetheart deals. Generally, this means that content is no longer going to be King, one person cannot put up content faster than the big "G" removes it. One person needs to concentrate on 5 to 10 words, and forget putting up tons of pages. Alternatively, as we are doing, we are creating "My Hobo", which allows us to create content at amazing speeds. However, that is not the primary goal; we want people to type in HoboTraveler.com and bypass the big "G."
We are defining a formula of each page, our editing process will demand there is excessive facts, photos and abnormal amounts of research, content needs to be exceptional. Average pages are no longer of value to the big "G."
Help us by joining "My Hobo". I still feel sad for that one lone writer, typing in some nerdy information that could change the world if the right person accidentally found in the search. They say the Internet is doubling every 5.34 years, I think this is horseshit. The number of pages is doubling maybe every 30-90 days, and the time online is going to explode when everyone has it on their cell phone and figures out Facebook. Hmm, I went to check, this is Boy Genius at work, I am not always sure how things work. 1. Change the name of the Photo, this changes the URL name. 2. That will become the title of the page. 3. Categorize according to a guidebook. This mean you could say a different more specific location. 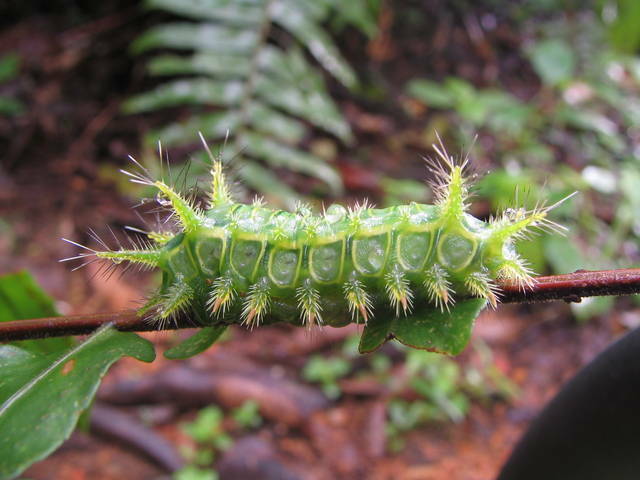 We also then hope readers will comment and help further explain the photo further, maybe a reader knows the exact name of the caterpillar.